MusicTech is the world's most practical music recording and production magazine. 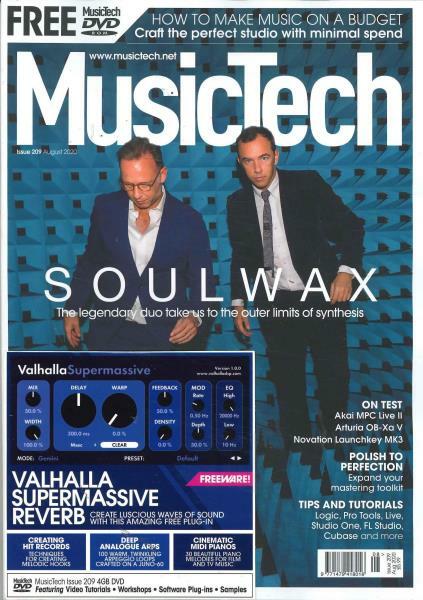 Buy a single copy or subscription to Music Tech magazine. Every issue is packed with hands-on features written by professional producers and engineers, software walkthroughs for all the key packages, Ten Minute Master guides to technologies and techniques, and the very latest product and software news and reviews. PLUS there's a free DVD every issue filled with exclusive royalty-free samples and loops, special edition software, video tutorials and workshop resources.